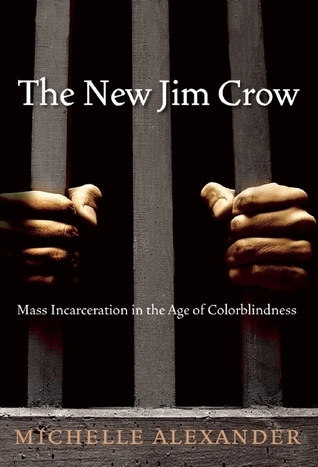 Examining the criminal justice system and the war on drugs, Michelle Alexander makes a case that just as Jim Crow laws replaced slavery as a tool for racial oppression, so our current system of laws and imprisonment replaces Jim Crow. Although our new system doesn't technically focus on people of color, it becomes quite clear through Alexander's argument that this part of the population is targeted; it may be more subtle, but the effects are just as damaging. She begins with some history; the rise and fall of slavery in America, followed by the Jim Crow laws. When they were abolished, the focus turned from explicitly targeting people based on race to focusing on crime. The second chapter focuses on the war on drugs and mass incarceration. In the 1980s when Reagan declared the war on drugs, it created a system in which police forces are financially rewarded for focusing on drugs arrests, and the accused are inadequately represented. Chapter three explores the role of race in the justice system, and describes why those imprisoned are disproportionately people of color. (Hint: it's not because they are more likely to commit crimes.) The focus of chapter four is on what happens after prison, the stigma faced by ex-cons and the ways in which they can be discriminated against which basically ensures they cannot ever return to mainstream society. Chapter five compares and contrasts this new system with Jim Crow. In the final chapter, Alexander focuses on the future, arguing that a major cultural shift is necessary to end this new system of discrimination. Although it was published several years ago, this book is incredibly timely. Race and criminal justice have both been in the forefront recently, and The New Jim Crow has become very popular, with good reason. I can't overemphasize how compelling Alexander's argument is, how neatly it all comes together. It's so seamless that it appears obvious, like you'd be a fool to not see it. Dense with facts and data, Alexander cites her many sources, making it not only authoritative, but convenient to find sources for further reading. However, this doesn't make it unreadable - I found it to be fascinating reading, though I had to stop frequently just to absorb it all. Plus, one needs time to let one's rage deflate a bit before going on. I know there are many people who are skeptical about institutional racism, and I like to think it's because of a certain optimism about how America works. Examples are often thrown out to illustrate how far we've come (Hey, we have a black President!) But even though I'm white, I am also a woman, and I know from experience that despite the many inroads individual women have made, overall we still lag behind men in key areas, like salaries. I know that sometimes we are treated differently from men, so yeah, I believe we also treat people of color differently from white people. Maybe it's not official or intentional, but it still counts when you're on the receiving end. As I was writing this I kept wanting to add some of the specific injustices noted in the book, like statistics about how many people in the US are in prison for drug crimes and the particular ways in which police forces profit from drug raids, but it all kept leading to other related facts and data and became huge and unwieldy. Even before reading this book, I was upset about some of these issues, and about how meaningless it is to imprison people for victimless crimes and how having a prison record can destroy a person's life. Reading such a thorough examination full of facts and data just added more fuel to that fire. So I won't recount the specifics, but I will say that although this isn't the easiest book to read it's a very important one. I may add it to my (new right now!) list of books that I think everyone should read (the other book on that tiny list is Far From the Tree.) I only hope that the attention given to these issues recently will cause the tides to turn and result in the cultural shift that Michelle Alexander says is needed for real change.